It was 2012 and there I was, in my mid 40’s, carrying a fair bit of excess timber and having a liking for a regular social drink or three. I decided that the time had arrived to do something about this, so I started doing a bit of exercise to hopefully improve both my fitness and my health. 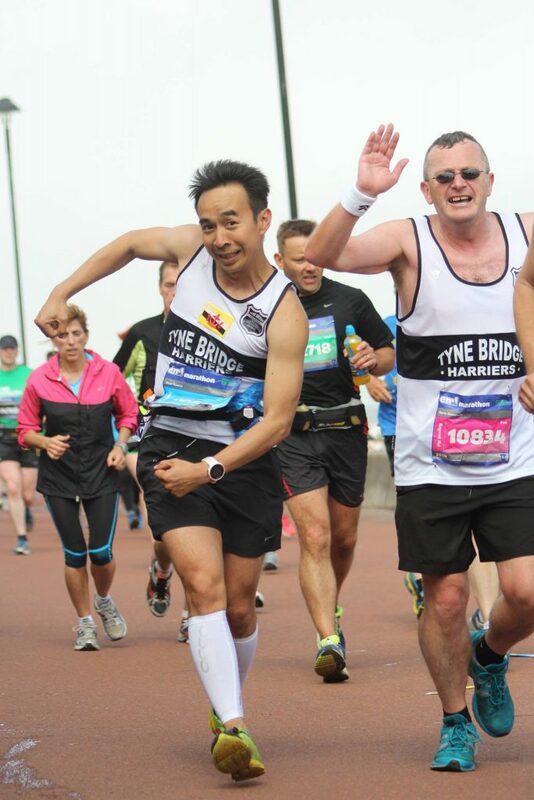 I was a few weeks into my new regime when a good friend of mine (who was familiar with the local running scene) came out with a corker, “You want to go to Tyne Bridge, man. They don’t turn anyone away and they make everyone welcome.” (Cheers for that vote of confidence John). So, one Tuesday evening I made my way to the East End Pool and took part in the evening’s session. Did I enjoy it? Well, I was back there the following Thursday with membership form in hand. I knew this was the way forward. 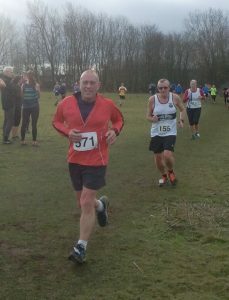 In no time at all, I had caught the bug and was soon taking part in all sorts of events; road races, parkruns, XC, team relays and Track & Field. I’m never going to be on the podium or contribute to any team prize, but whenever I put my mind to something, nothing will get in my way. However, I can’t say that everything I entered was a tremendous success. Thanks(!) to Henrik Aicher I found myself taking part in the Edinburgh Marathon. What a huge mistake! Michael Nemeth had the misfortune to be within earshot at the end of those 26 miles. I’m fairly sure not all of the words which poured out of my mouth can be found in the Oxford English Dictionary. If I return to Edinburgh it’ll be to visit the zoo rather than lacing up my trainers. Relief at the end of the Edinburgh Marathon. Bam was happy too. And don’t get me started on the Northumberland Coastal Run. Nightmare. I’ll stick to organising the transport there, thank you very much. 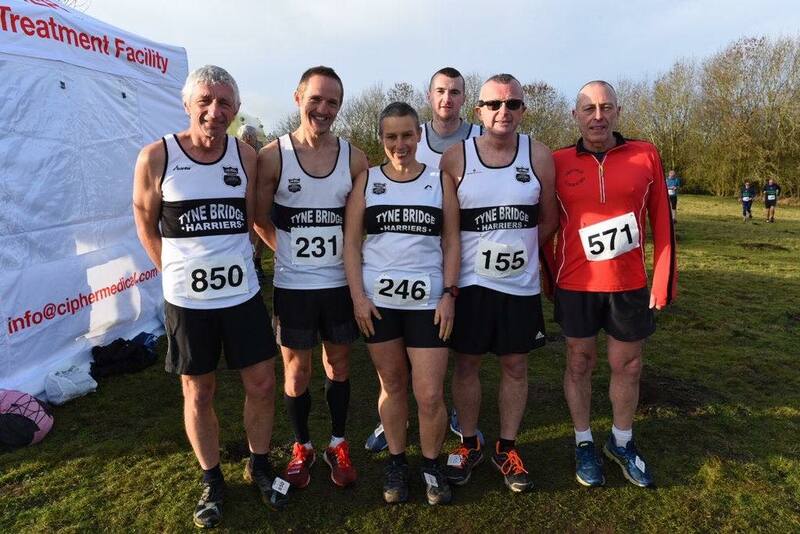 Oh yes, and there was the Northern XC Championships at Knowsley Safari Park in Liverpool. When I saw the course and conditions (think snow, lots of it), I said to Kev Jeffress, “I’m way out of my comfort zone here, like.”, Kev replied, “You’ll be fine once you get going.” I’m not sure about that but the record shows that, along with Paul Hilton, Tony Carter and Kev, I played my part in TBH closing a team that day. And here’s a photograph of that memorable day. 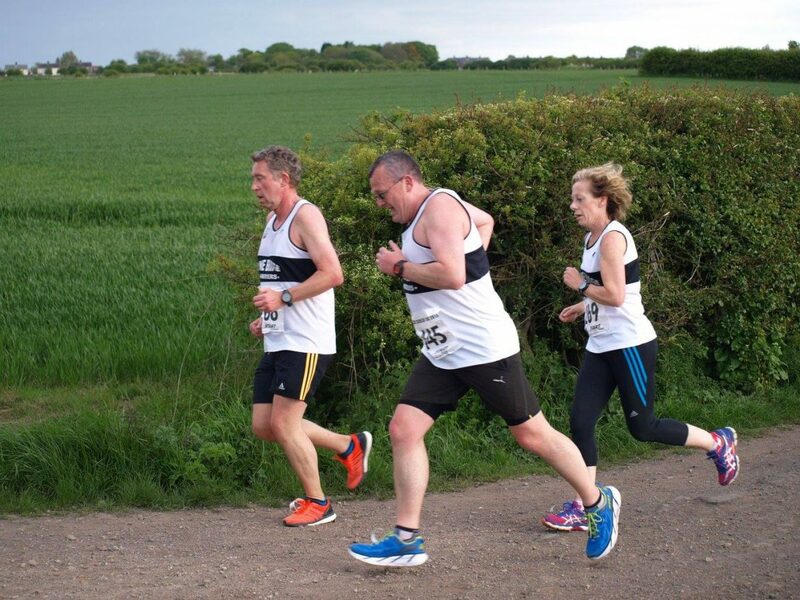 As well as throwing myself into the actual running I quickly got involved with the club’s administration, and before long I was on the committee and had been appointed Membership Secretary. The club was growing rapidly. It was a busy and exciting time. They say ‘You never know what’s around the corner’, and in February 2017 I was given some devastating news. I was diagnosed with Nasopharnygeal Cancer. It was totally out of blue. I had none of the obvious symptoms of the disease and had been feeling completely fit and well. I’d taken part in the Benidorm Half Marathon in the November and on New Year’s Day had completed a parkrun double in Middlesborough. Literally days before my diagnosis I’d done a 10 mile run down the coast with me old mucker Derek Vardy. To say the diagnosis came as a shock is a massive understatement. I was told that my cancer could be treated with a view to a cure but that it would require months of intensive and extremely gruelling treatment. The doctors did not underplay what lay ahead for me. I remember one of my consultants saying, “This won’t be easy. You won’t enjoy it. I’m going to take you right to the edge of the cliff but I’ll just dangle you over the side. I won’t let you go.” It was also made very clear to me that other than the illness I had, I was a fit and healthy young man. I was told that not only would this stand me in good stead for the upcoming treatment but would actually influence the clinical decisions that were made to improve my chances of overcoming the disease. Taking up running and joining TBH was going to prove to be one of the better decisions I’ve made in my life and was about to pay huge dividends. I also learnt that our very own Annette Kelly would be responsible for the making up of my treatment. “Don’t worry Kev, it will come with extra special care.” said Annette. “Just put a bit more in than what they ask for.” I replied. I was pulling more strings than a pair of puppets. What else could I do? I underwent months of exhausting treatment and suffered it’s debilitating and brutal effect on my body. During this time I tried to stay as involved as I could with the club and my running friends. I didn’t want to miss out on what had become a massive part of my life. Obviously running was not an option, but under the watchful eye of my wife Joanne I was able to attend a couple of races and XC events. However, as time wore on, this too became far too much. The overwhelming tiredness and lack of concentration meant that even keeping up with what was happening at the club via Facebook, the website and e-mails became impossible – which was a bit nuisance for such a nosey so and so like myself. 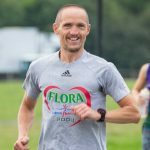 The treatment seemed to be never ending and it was very difficult to believe that I would ever re-gain fitness or health, let alone be able to run again. As runners we have all suffered the pain and frustration of injuries but this was on an entirely different level. I wasn’t just contemplating whether I would be able to make next week’s training session but whether I would actually make next year, full stop. During this time I received numerous messages of best wishes from club members. Whilst my condition meant that I frequently wasn’t able to respond, I was and remain extremely grateful, and it is something which I will always remember. It took 5 months to complete my treatment. The next task was then to regain my weight and strength and this was going to be far from easy. An effect of the treatment meant I was initially unable to take food orally, so to begin with I was fed liquid nutrition drinks through a feeding tube to my stomach. Gradually, I moved onto liquidised food and discovered that whatever you put into a blender, it all comes out tasting pretty much the same. My top tip on this is don’t waste your money on fillet steak, just go straight for corned beef as it all comes out tasting the same. A couple of months passed by and it seemed that I was making decent progress. However, there was a setback when, after a routine scan, it was decided I would require surgery and that took place in the week before Christmas. I couldn’t wait to say goodbye to 2017. I was desperate to get back to ‘normal’ but my recovery was proving to be a very slow process. By normal, I certainly wasn’t thinking about running but just being able to carry out the everyday things which we all take for granted. Even going for a short walk was a major effort and something which I would then have to recover from. It was a frustrating time. I remember speaking to my Macmillan nurse around May 2018 who said it could take two years for me to regain my original weight and, hopefully, return to my pre-illness level of health. I thought “Cobblers to this. I’m going to give training a go.” So the very next night I set off to the pool with Joanne’s words ringing in my ears, “You need to be careful. Do you want me to come with you?.” I replied, “I’ll be fine, man. Don’t worry.” It was good to be back at the club and I set off from the pool with group 5 heading to Heaton Park. I can’t recall what the session was, but quite frankly it wouldn’t have made any difference whatever it was. I was not much further past the entrance to Armstrong Park, when i decided that I had over-estimated my current ability and that I’d have to call it a day and walk back to the pool. Margi Eccles gave up her own training session to accompany me back. “I’ll be alreet man, Margi.” I said, but Margi being Margi insisted that she came back with me. Realising that I was about a million miles away from where I wanted to be, I knew that I had to do things by myself and at my own level. I started down at Tynemouth Longsands, jogging from one end of the beach to the other and then walking back. This was less than 3/4 of a mile but it would take me over 10 minutes to complete (not including the walk back). At times I would think to myself that a return to running was never going to happen, but there was no way that I was giving up. I stuck at it and, after a bit, I was able to increase it to 3/4 of a mile jog then walk and then one mile then walk. I also started to attend the beginner’s sessions on a Wednesday evening. It was a huge bonus just being able to run in a group again. 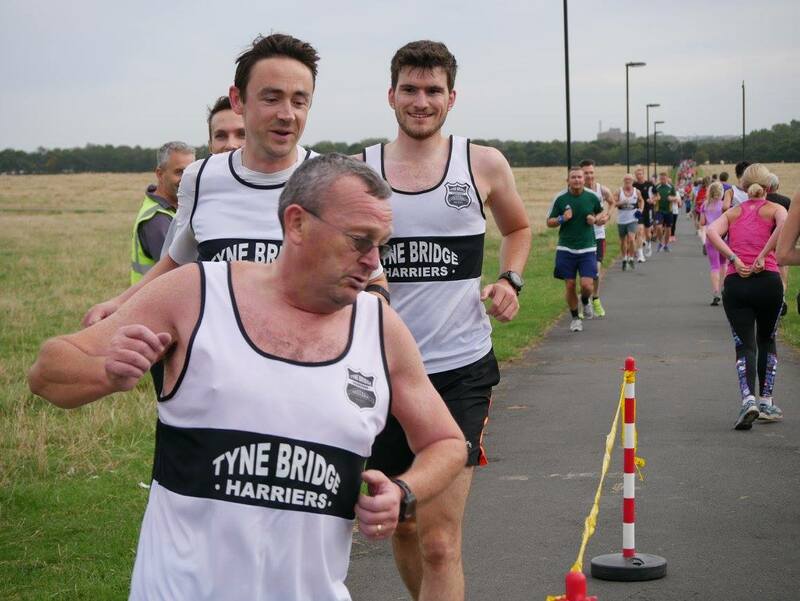 I set myself a target of completing a parkrun without walking breaks and, a full 18 months after my last parkrun, I ran Newcastle parkrun on the 8th September 2018. I had so many people keeping me company as I ran round the Moor, and my daughter Trudi keeping me in order with the pace, that I couldn’t possibly have failed. 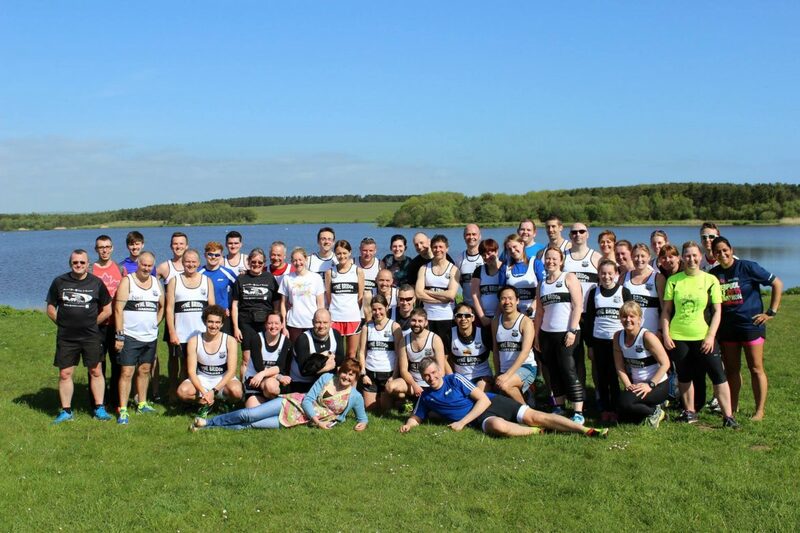 I managed 30.43 on that day and have improved upon that at subsequent parkruns. 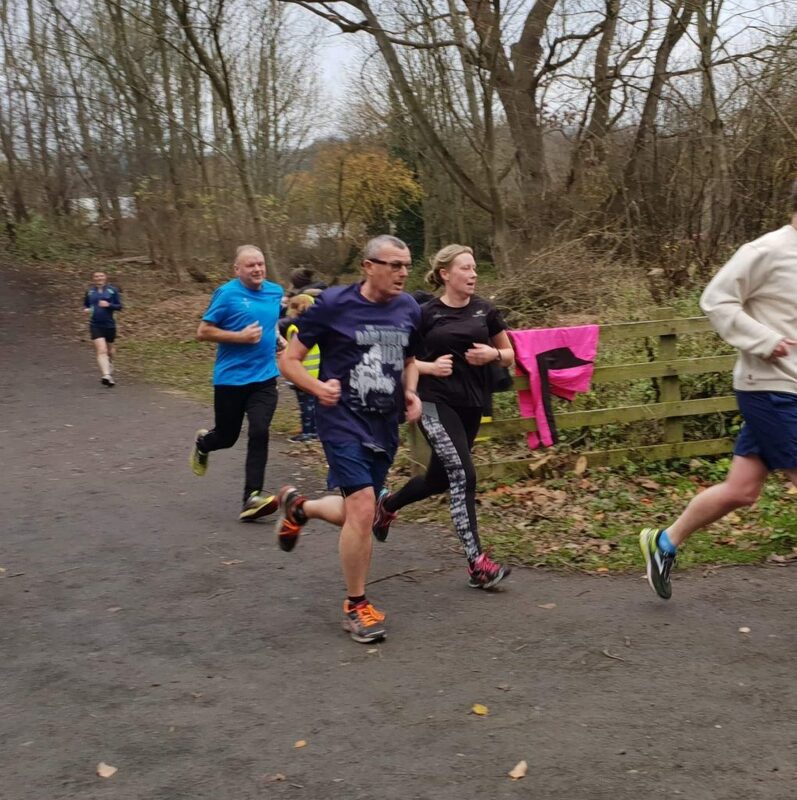 A few weeks later Steve & Mary Pattison were visiting the Toon and we decided to have a trip to Prudhoe Riverside parkrun. Steve and myself had planned to run the course together and we were joined by Margi. We were not bothered about time and I can’t recall any of us commenting on our pace during the run. It was a very enjoyable morning, and to cap it off I got a time of 27.15. I’m fairly sure Margi bagged herself a PB into the bargain. It just goes to show you can achieve things without putting unnecessary pressure on yourself. I’m obviously pleased with the improvements in my times as it shows my overall health and fitness are heading in the right direction, although generally I’m not someone that gets chewed up and stressed about times. I remember Neil Banks once saying that a 10 minute mile is the same distance as a 6 minute mile, but seeing improvement, at whatever level you are at, gives you that little buzz and a sense of achievement. And, if you add to that what I’d been through in 2017, then I can’t deny that I was chuffed with my efforts. I set myself a few targets which I could work towards. 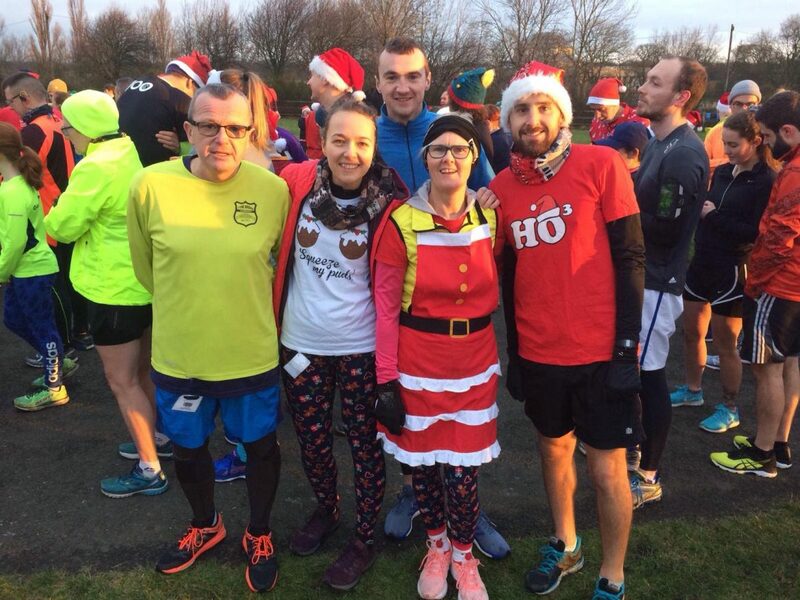 The first on the list was a sub 27 minute parkrun which I achieved on Christmas Day. Next up, I wanted to complete a 10Km race before the end of 2018. 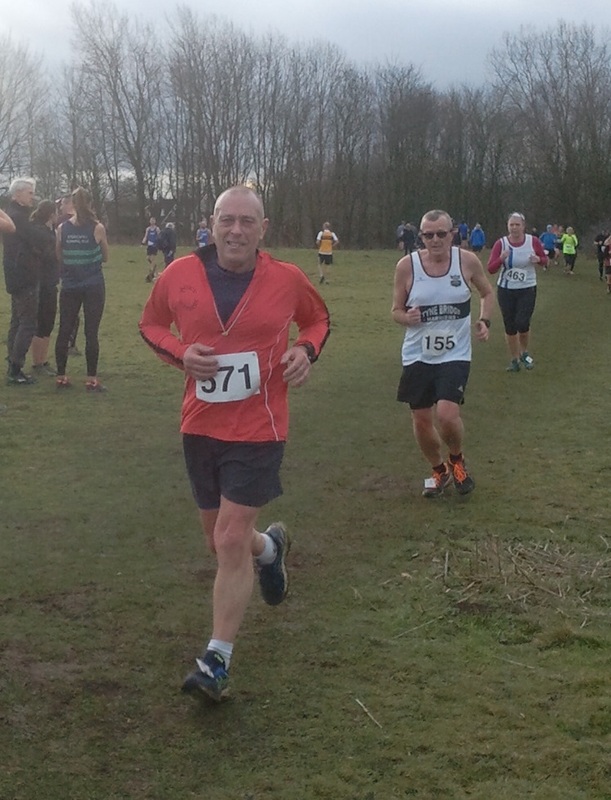 After a bit searching I came across The Jolly Hog Jog 10k in Ripon at the end of December. I entered this together with my son Shane and my good friend John (he of the ‘TBH, they’ll take anyone’ quote). I then discovered that DD, Vicki Deritis and John Tollitt had also entered the race, which meant there would be a decent little squad of us heading down to Yorkshire. We met at Ripon Rugby club for registration, where Vicki asked me if I had read the course description of the race. She must have been looking at my footwear. “Aye, it’s on proper paths through a country park” I replied. She replied that wasn’t the description she’d read the night before. I then looked down and saw that pretty much everyone else was wearing trail shoes. I have trail shoes but they were back in Walkergate, where they were of no use whatsoever. It was too late to worry about that so I thought I may as well just crack on in my road shoes and see what happens. Pre-race ‘jolly’ photo. If only we knew what was to come! The start was a short walk away, and as we headed there JT was giving me the rundown from a fell/ trail runner’s perspective. I remember hearing stuff like “It looks like a great course, Kev. 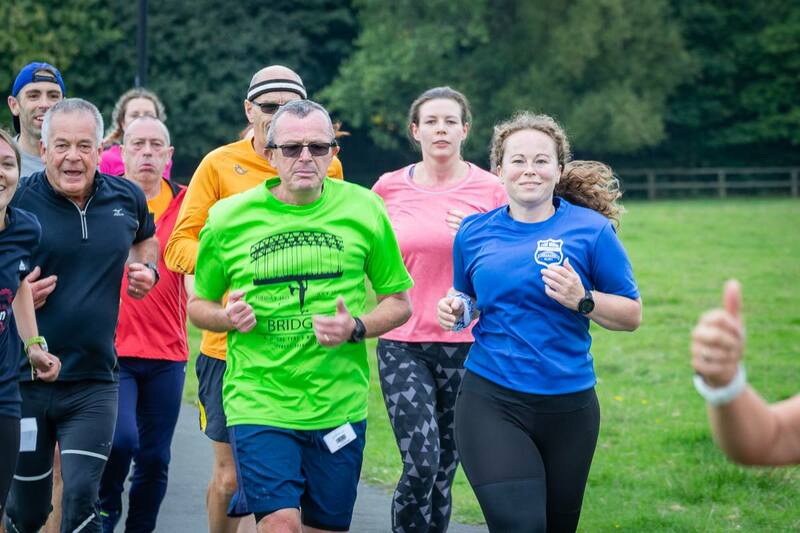 You go over about 7 bridges in the country park.” I don’t remember much else as I was too busy considering what the odds were of me managing to stay upright for the duration of the race. The start was a muddy field which reminded me of Temple Park XC. Once we got going it soon became apparent that this was no ordinary 10Km. Much of the race takes place in the Studley Royal Deer Park, which is right next door to Fountains Abbey, and all part of the UNESCO World Heritage site there. It certainly was in a beautiful setting and very picturesque, but those climbs in fields on stone laden tractor paths were not for me. Luckily I’d worn the correct footwear for the race. NOT! Just after mile 3, there was a steep long climb. The marshall shouted, “Not far to the top, then its downhill.” I was struggling and said to John, “You go on. This is nee good to me.” “Na howay man, keep gannin.” John replied. I managed to get to the top without stopping but then I saw the downhill section. My relief quickly turned to horror. Going down was so much harder than going up. Going up is largely about fitness whereas going down is about technique and experience, neither of which I was in possession of. People seemed to be gliding past us. How did they do that? Why were they not falling over? Were they not completely out of control? We then ended up on some firmer paths through the country park which allowed us to get some sort of rhythm going. JT was correct in that we did cross over a number of bridges, which was handy for getting a sneaky breather as you had to cross them in single file. At about the mile 5 mark we went over a metal walkway bridge. 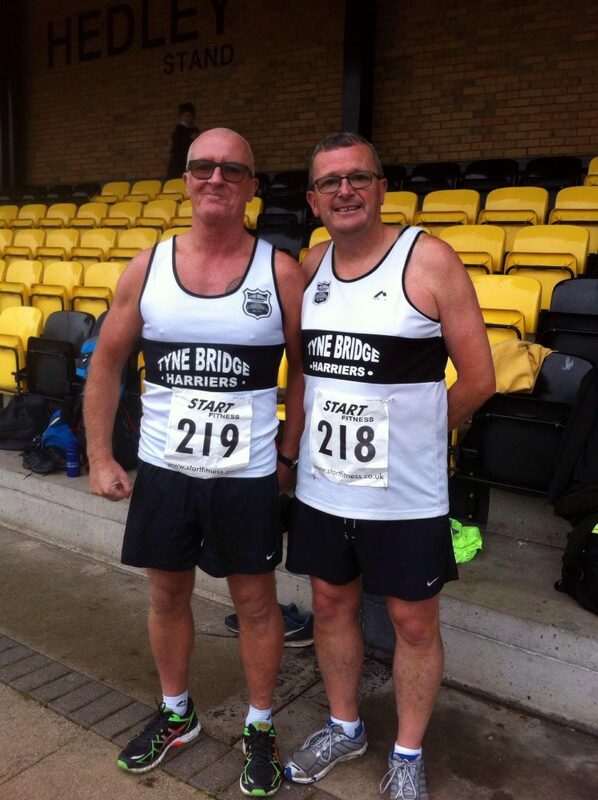 “Go Tyne Bridge. Well done. Not far now.” the marshall called out. Immediately after crossing the bridge, we were confronted with another very steep hill climb. 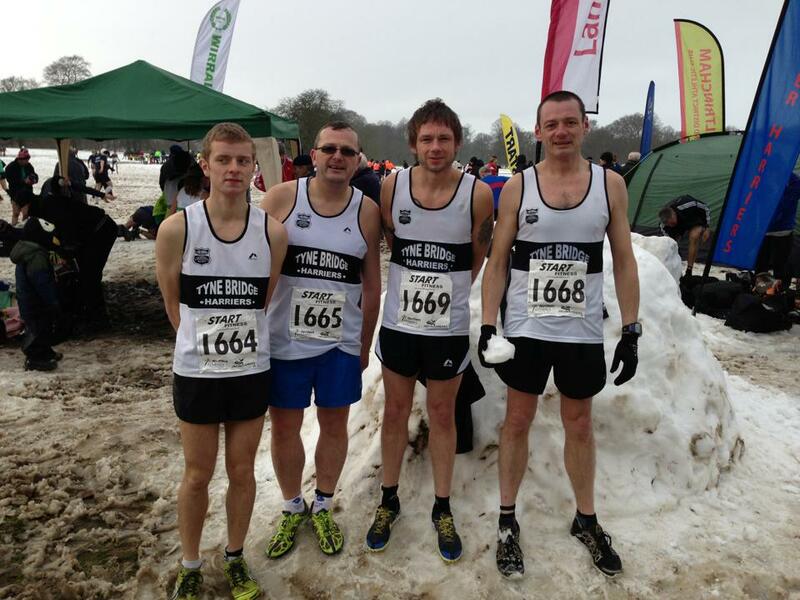 For those that have done Prudhoe XC, it was in the same league as that. I got about halfway up and was unable to run any further. I had to walk the rest of it, although in fairness, so was pretty much everyone else around me. We reached what we thought was the top, took a left turn to see, yes, another climb. It may have only been about 20 metres but it felt like 20 miles. There was now a long, flat, grassy stretch ahead and we could now see the town centre in the distance (and below!) so I knew that was the end of the hills. The final 3/4 of a mile was on a country road before we turned into the finish area. DD, JT and Shane were waiting to cheer me and John over the final 100 metres. We then all waited for Vicki to finish, who did so not long after and looking considerably less shellshocked than me. I hadn’t just stepped outside my comfort zone for this race but had taken a great big flying leap. I’ve marked the Jolly Hog Jog down on my target list as a trail race and put a big tick next to it. I don’t think I’ll be spending too much time checking out upcoming trail races and the Fell Runner’s Association will be waiting a very long time indeed for my subscription. I will, however, in future make sure I read a race’s description properly before signing up for it. I’m still on the hunt to do a ‘proper’ post illness 10 Km and I will stick to the comfort and familiarity of tarmac, preferably with as few hills as possible. That said, if you like your trail runs or fancy a festive challenge then this is a cracking little race. Putting a few weeks between the race and now has allowed me to say that. Had you asked me as I was finishing the race you would have received a very different response (see the Michael Nemeth/Edinburgh marathon reference above). The race is very well organised and marshalled by Ripon Runners and is in a fantastic location. I’ll finish off by saying that life throws all sorts of challenges at us. I didn’t want the illness I had. Nobody does. I’ve been made well aware what could lie ahead in the future, but it is something I neither think of or worry about. However, the fact is that nearly 1 in 2 of us will get it at some point during our lives. The treatment which I have received from our National Health Service has been first class and I cannot praise highly enough it’s staff at The Freeman Hospital for the care I have received. The love and support which I have received from my family and friends has been both huge and humbling. The combined efforts of everyone has meant I have been able to ‘crack on’ and I am now ‘back in the game’. Below are some of Kev’s favourite photographs (the fact I’m in several of them is purely coincidental – DD). Powerful stuff Kev, and re-affirms that there’s nothing more important in life than good health, family and friends. And if you do manage to find a flat, tarmac 10Km please let me know! What an amazing read Kev. You’ve been through so much it’s fantastic to have you back. You’ve had a really tough time of it Kev, reading your story has been very humbling . . . you’re a true inspiration to all of us! That is what I call a race report. Amazing. Well done on the return to running, Kev! Well done Kev, you are a true hero. The NHS might have treated you, but you fought for your recovery yourself. You and your family deserve all the health and happiness you’ve earned, long may it continue. What an ordeal, but what a comeback! Good to see so many people involved in it. Salt of the earth – doh! 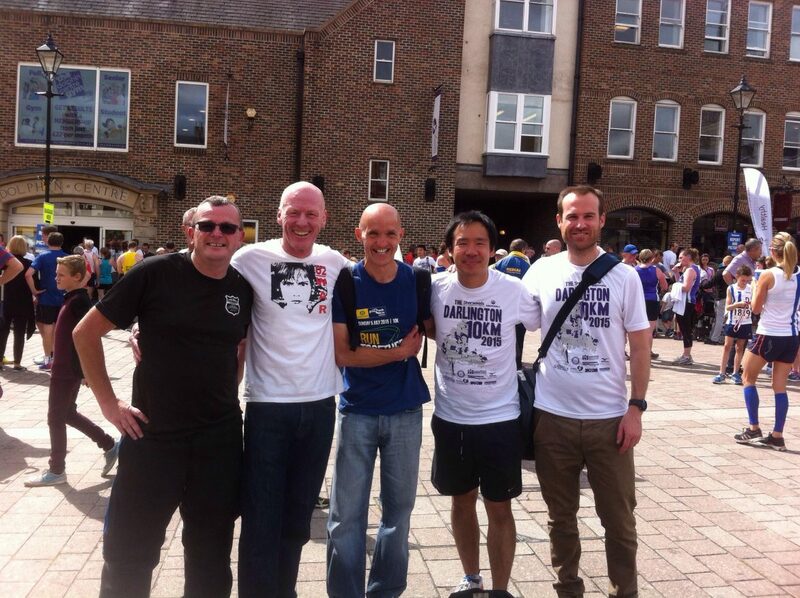 Fantastic read Kev and from one cancer survivor to another, a huge well done. The fact that you ran with group 4 last week shows how hard work, dedication and complete bloody mindedness pays dividends. You said right at the start that your illness wouldn’t break you and, although I know you’ve been to hell and back, it didn’t. Keep on running bud. Great and inspiring read. Well done Kev. A true fighter. Fantastic read and so moving Kev. You’re such an inspiration, so much so that you’ve got me running too! Great to have you back Kev. You could have mentioned Archie though. A great read Kev . A bit of an insight into your “running “ journey and a big one into you as a human being . Stay strong Kev . I’m sure I’ll have a run with you soon . I could keep you company on that 10 k run . Let me know when you find one that suits you and I’ll tag along . A truly inspirational read Kev. Keep it up and good luck. Good to see you back Kev. Wish you all the very best and good health in the future.